Excellent cashier resume sample to customize for your own use. A well written resume is the key to a successful job search. This resume structure will help you to organize your own information in a way that best presents your credentials for the cashier job and quickly persuades the reader of your suitability for the job. Highlight your strengths and skills as they relate directly to the requirements of the cashier job opportunity. Adapt the sample cashier resume objectives and resume objective statements to immediately focus the potential employer on why you are the right job candidate. Seeking a position as a cashier in an established company. reliability as central to successful job performance. To secure the position of cashier in a busy work environment. Known for a strong work ethic, excellent communication skills and the ability to deliver a high quality service. A trustworthy employee with over 2 years experience processing sales and payments in a fast-paced work environment. Adaptable and willing to step in wherever needed. A team player with excellent customer service skills. A dependable employee who enjoys establishing excellent customer relations and successfully managing customer issues. An organized, accurate and fast worker with solid computer skills and sound knowledge of cash management principles. 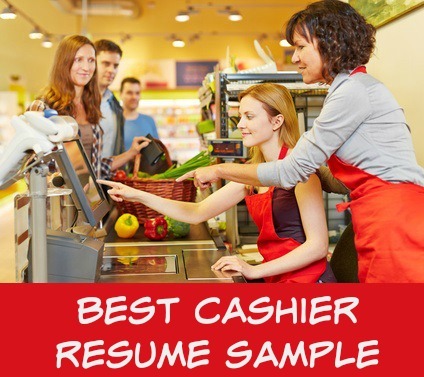 Insert your own cashier job information into the structure of this cashier resume sample. For a detailed list of the duties and responsibilities of a cashier go to cashier job description. Include a convincing cashier cover letter with your job application. What are the top skills to include in my resume for a cashier? 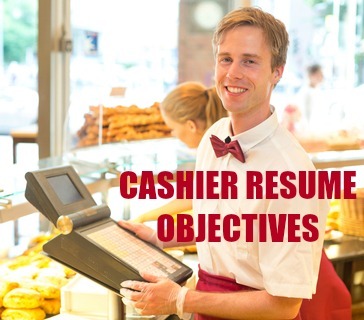 Employers have identified these 5 core skills for a cashier position.